Four years before The Wild Bunch, director Sam Peckinpah gave audiences another gritty, star-studded western adventure, Major Dundee. After going over budget and over schedule, the film was notoriously taken away from the visionary auteur, heavily cut and saddled with a bombastic score despite Peckinpah’s protests. Now the Extended Version recuts, restores, and rescores this mistreated work to greatly expand and clarify, coming closer than ever before to the filmmaker’s original vision. 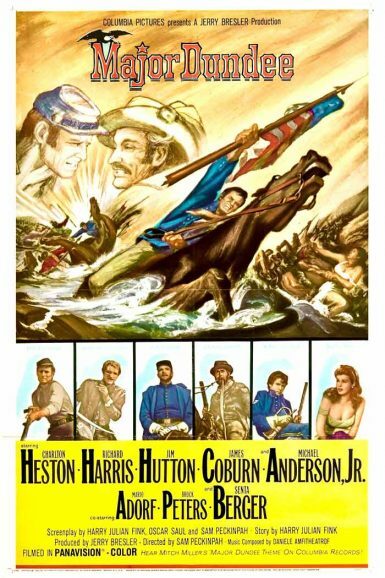 Charlton Heston stars as an oppressive cavalry officer who leads a ragtag squad of soldiers and Confederate prisoners on a dangerous expedition into Mexico to track a band of Apache.